Chevrolet Cruze sales increased in the United States and in Canada during March 2017. Chevrolet Cruze deliveries in the United States totaled 18,607 units in March 2017, an increase of 88.3 percent compared to 9,881 units sold in March 2016. In the first three months of 2017, sales of the compact car family have increased 44.8 percent to 53,923 units. In Canada, the Cruze recorded 2,916 deliveries in March 2017, an increase of 27 percent compared to March 2016. In the first three months of the year, Cruze sales have decreased 1.9 percent to 5,587 units in Canada. The cumulative sales performance of the Cruze family in the first three months of 2017 is highly impressive given that it comes at a time when customers are favoring crossover utility vehicles over other types of vehicles, like sedans. Though we would like to believe that the desirability of the all-new, second-generation Cruze is the reason for the sales growth seen in March, which bucks the trend of crossovers gaining sales at the expense of sedans and hatchbacks, it’s also possible that the increase in Cruze deliveries could be caused by an increase in fleet sales. The GM Lordstown plant where the Cruze sedan is assembled saw its third production shift cut in January and General Motors is preparing to make further production cuts at the the facility in July. The moves show that the automaker is not confident about the strength of the U.S. compact car segment in which the Cruze competes, thereby hinting that the sales gains seen in March are temporary. Chevrolet completely overhauled the Cruze sedan for the 2016 model year, marking the second generation of the nameplate. For the subsequent 2017 model year, Chevy gave the Cruze sedan several changes and updates and also launched the five-door Cruze hatch, which better positions the vehicle family against segment rivals from Ford, Hyundai, Kia, and Honda. Wow, nudging 100% increase in units – cut production shifts. Seems legit. While sales of the Chevrolet Cruze is good; anyone bothering to do a Google search on how many vehicles General Motors has available in showrooms in the United States will know there is a staggering 900,681 cars and light trucks at the end of February as this means cutting production shifts is legitimate. The inventory climb, according to GMNA President Alan Batey, is on purpose — so as to have enough available units as the automaker revamps factories at the end of the year. Top ranked Compact Car by Consumer Reports has helped. In almost every index Cruze ranks among the top three. Unfortunately, only Civic, now that it looks midsized, is in demand. My brother in law just got a cruze hatch rs in early April. Pretty nice car. For sure a good car but the discounts are what brought the sales. Now with more people in them they may be able to grow sales! Bingo. Cash on the hood is moving this car. They have a staggering amount of Cruze and Malibu inventory. With a horrible launch the cars weren’t available at dealerships this time last year. GM doesn’t want car sales up when trucks and SUV sales are strong. 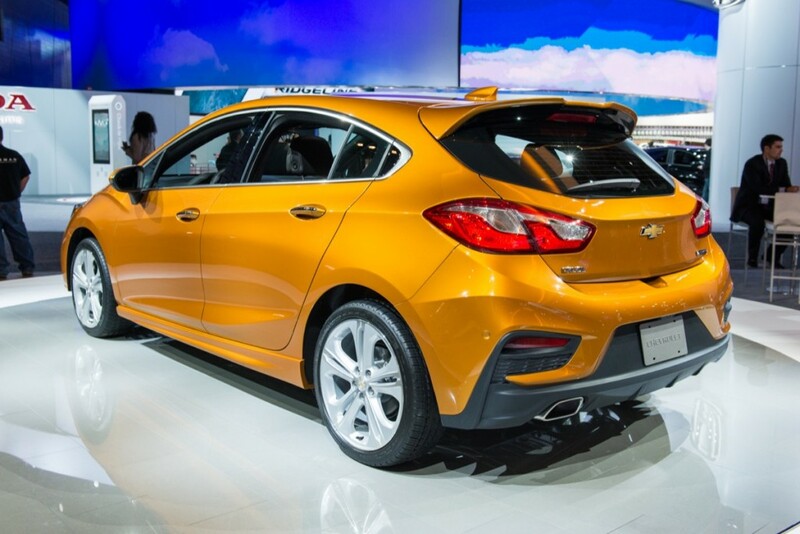 Their market strategy is the biggest factor behind sales being lower compared to the first Gen Cruze. Unless gas prices rise drastically or the economy changes this car will remain mediocre in sales . Think of this model as a sag way toward the next model when the Auto industry cycles back to strong car sales and low to moderate truck sales.